Michael B. Jordan doesn’t know how to take a day off. The actor had already made international headlines for the incredible physique he displayed in the trailer for Creed, and before the movie even came out, he had already signed on to play Black Panther villain Erik “Killmonger.” The goal? Get even bigger. 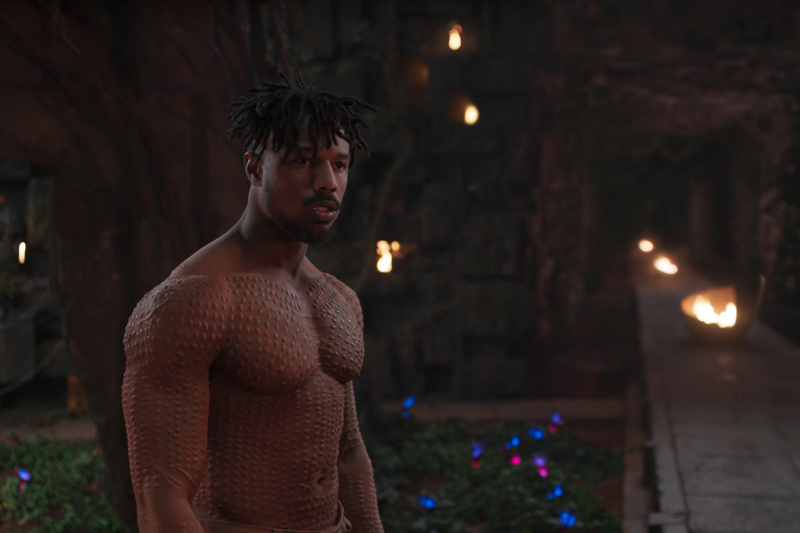 “I just had to dedicate everything I had to getting in shape and becoming Killmonger,” said Jordan during a press event. “I was doing weapon training, gun training, and a lot of mixed martial arts.” Growing up as a reader of the comics, he felt a special duty to do justice by Black Panther’s arch nemesis. In order to achieve the right physicality for the character, Jordan brought out his own secret weapon: long-time trainer Corey Calliet. Since meeting several years ago on a film set in Atlanta, the two have become legitimate training partners, doing regular sessions in Jordan’s well-equipped home gym in Los Angeles. The results are seen on the big screen; one of the early scenes shows Killmonger overpowering Chadwick Boseman’s Avenger, and Jordan’s huge frame helps the scene work flawlessly. “I put on about 15 to 20 more pounds of muscle,” Jordan said in a press conference. In addition to keeping the diet clean, putting on more mass meant that Jordan had to add more carbs to his meals. Calliet had him eating about five meals a day (and, at times, six).